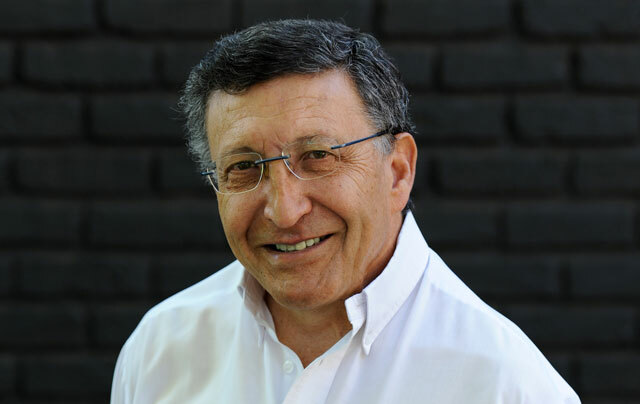 The world will continue to underestimate South Africa until the country develops confidence in itself, Square Kilometre Array (SKA) South Africa project director Bernie Fanaroff says. News24 caught up with the recipient of the Order of the Mapungubwe in Silver presidential award on Sunday, as he was participating at the two-day Third Annual Astronomy town meeting in Umhlanga, Durban. He said while he would love to bask in the glory of championing the SKA project, he rather wanted a legacy that could be passed on to the next generation. “I would love to see young people in South Africa getting into science and engineering. South Africans and Africans in general need to realise that we don’t have to be shy or believe that we can’t do the best science and technology in the world, because we can. “The problem is that South Africa underestimates itself and I think that’s why the world underestimates us and will continue to do so until we gain some confidence. “If I could leave a legacy for South Africa it would be that we develop the self-confidence to say we are just as good as anybody else in the world. “The stories that South Africa has bigger problems are true but we can’t exclude ourselves from the world economy, we want South Africa to benefit from the world economy. Fanaroff, 67, briefed the gathering on Saturday on the latest developments on the SKA project. “The board of directors recently took a decision to keep the headquarters in Manchester in the UK. The other step forward was finalising the design of the telescope, the board of directors last year took a decision that the cost of the first phase of the constructing of the telescope must be capped to 650 million euros, so the second phase will still be much more expensive than that but it will only be built in seven or eight years’ time. He also updated the panel on the MeerKAT telescope which was being built by South African government. The MeerKAT is a precursor for the SKA project, he said. Fanaroff said he was excited to see the project unfolding. “What is also exciting is that since 2005 we have given out 717 bursaries for South Africans and students from other African countries that are partnering with us. So far we have graduated 56 PHD’s, 120 masters students and a lot of students on undergraduate students. He said South Africa was not producing enough science and physics students. “The problem we have is that the basic education system is not giving kids a good enough background so they struggle when they get to university. At the age of 67, he has no plans of slowing down. “I am going to be working part time on the project because I would like to also work on the big data programme which we started, the obvious spin off from the SKA’s big data. Big data is a huge global economy in itself with trillions of dollars,” he said. Fanaroff was not shy to divulge a little interesting facts about his personal life. “I was born in Johannesburg. My mother Fanny and my father Isaac were teachers and political activists. They never cared much about money,” he recalled. He said while growing up he had always dreamt of becoming an astronomer. “In school I was very shy, I was a complete nerd and I focused on school work and tennis,” he chuckled. He fulfilled his dream and after completing his PhD in 1974, he worked as an astronomer for two years. He left the science field and dedicated 19 years of his life working for the National Union of Metalworkers of South Africa. Fanaroff lives in Cape Town with his wife Wendy Vogel, and the couple have been married for 35 years. “We don’t have children. We love each other very much and we get along very well and we have the same approach to life, I suppose,” he said. He also revealed that he was an atheist.